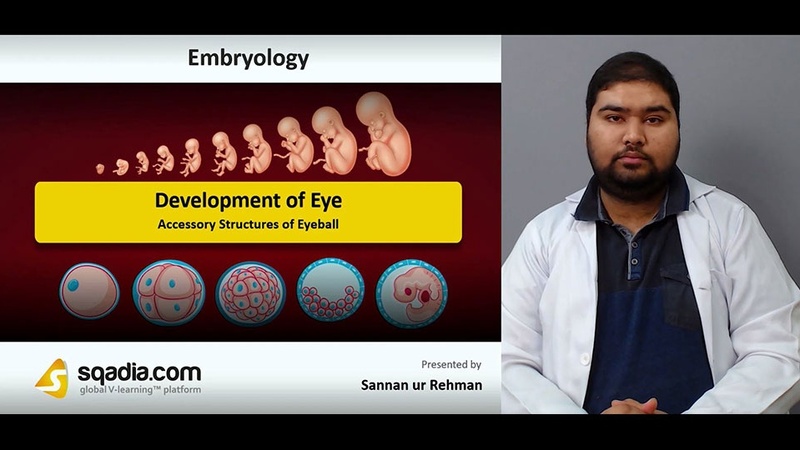 This lecture aims at the enlightenment about the Development of Eye. Section one puts forward an Overview. At the start, various Sources of Development have been expounded. Subsequently, Optic Vesicle and Lens Placode and the Development of Optic Vesicle has been brought into consideration. Moving ahead, Development of Lens Vesicle and Optic Cup has been shed light on. Conclusively, the educator has talked about the Choroid Fissure and Hyloid Vessels Development. Section two accommodates Retina and Optic Nerve. Initially, the Development of Retina has been conversed about. In addition to this, Retinal Detachment and the Development of Optic Nerve has been brought into debate. In the end, the educator has summed up by mentioning about the Papilledema. The key focus of section three is on the Lens, Sclera, Choroid and Ciliary Body. 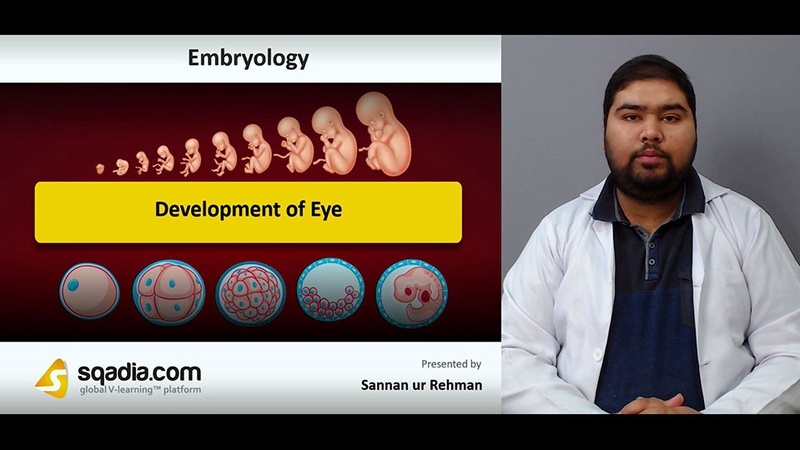 The educator started off by referring to the Development of Lens. Furthermore, Cataracts and Acquired Cataract has been presented. Moreover, Sclera and Choroid has been reported as well. In the end, the curtains have been brought down by a reference to the Ciliary Body, in-depth. Section four talks about the Other Parts of Eyeball. Firstly, the educator has spoken about the Development of Iris succeeded by a conversation on the Color of Iris. Along with this, Cornea and the Anterior and Posterior Chambers of Eye has been recounted. Later on, the educator has explicated about the Vitreous Body (Vitreous Humor) and the Adult Components of Eyeball. In the end, the educator winded up by stating certain Clinical Correlation. Section five elucidates the Accessory Structures of Eyeball. This section begun by a dialogue on the Eyelids. Additionally, Conjunctival Sac and Lacrimal Glands have been shed light on. Besides this, Lacrimal Sac and Nasolacrimal Duct has been delineated. In the end, the educator has wrapped up by alluding to the numerous Anomalies of Eyelids.